VOLVO V70 D5 CYLINDER HEAD COMPLETE 2001-2005 READY TO FIT HAS BEEN STRIPPED CLEANED CHECKED. VOLVO C30 1.6 PETROL CYLINDER HEAD COMPLETE READY TO FIT ONLY COVERED 16K MILES 2006-2012. 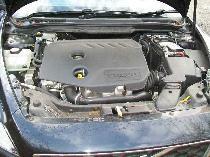 VOLVO C30 2.4 PETROL CYLINDER HEAD ENGINE CODE B5244S3 2006-2010 ONLY COVERED 41K MILES.